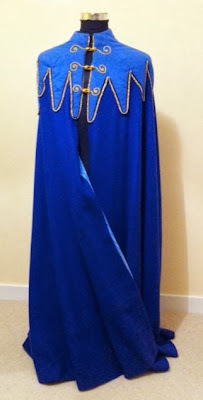 Making My 6th Doctor Costume: Tranquil Repose cape - ON eBAY! 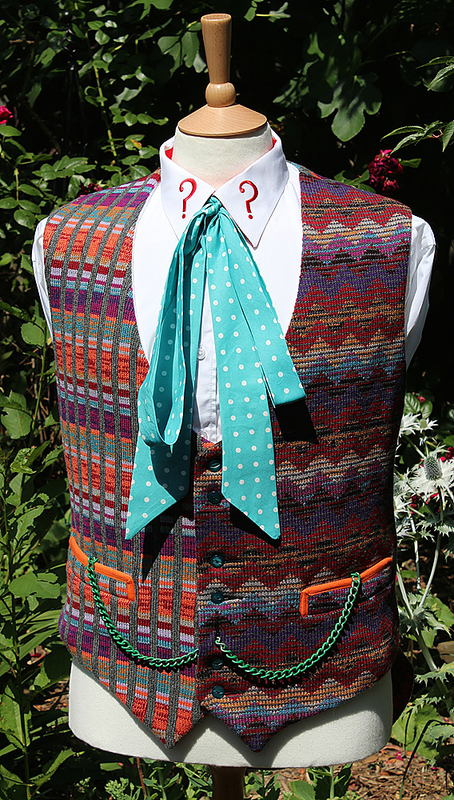 This doesn’t happen very often, but a screen-worn piece of he Sixth Doctor’s wardrobe is currently on eBay! 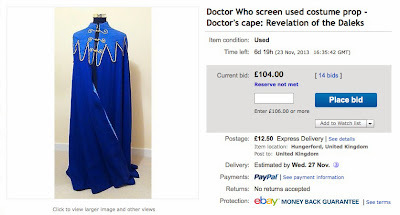 The blue ankle length cape worn in Revelation Of The Daleks is up for sale. Two capes were made, one of which was stained with blood during the fight scene, and still bears the marks. 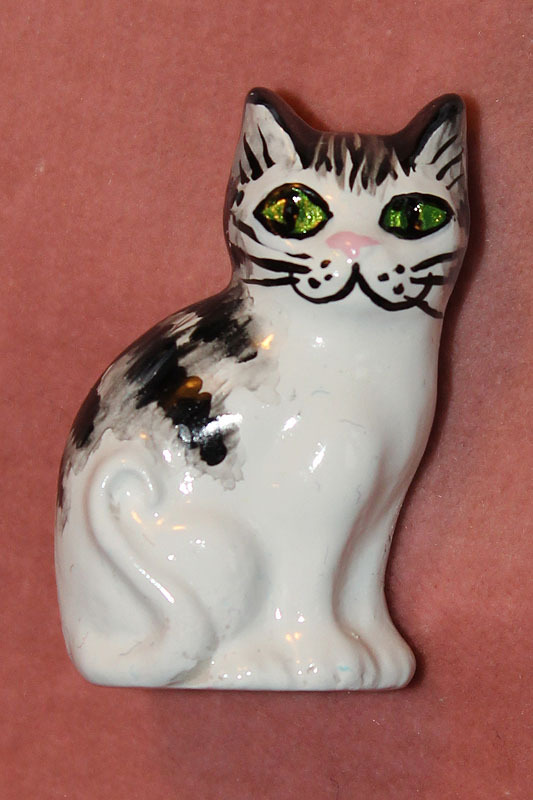 This is the other, which has survived clean and bright as the first day it was worn! 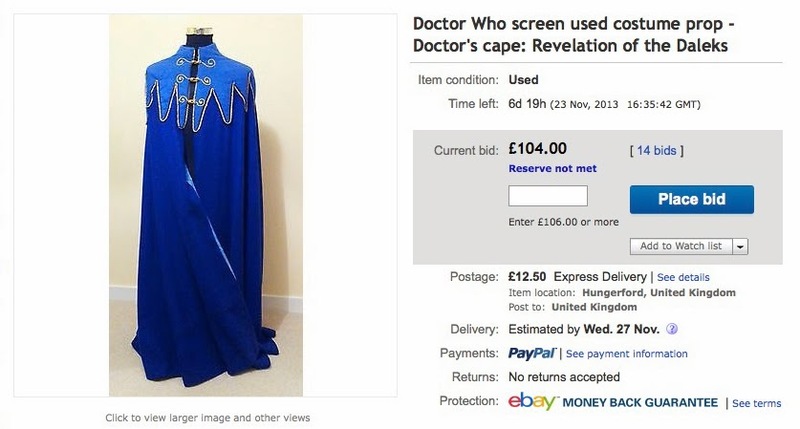 For sale: The original screen-used blue and gold cape worn by Colin Baker in the 1985 Doctor Who serial Revelation of the Daleks. The cape features heavily in the first episode of the serial as The Doctor and Peri travel to Tranquil Repose, a funeral home on the planet Necros. This cape was purchased from a private collector in October 2011 and is in fine condition. The cloth is still a vivid blue. The gold, curly patterned fasteners represent 6 questions marks (for the 6th Doctor) - something that only occurred to me after I bought it! 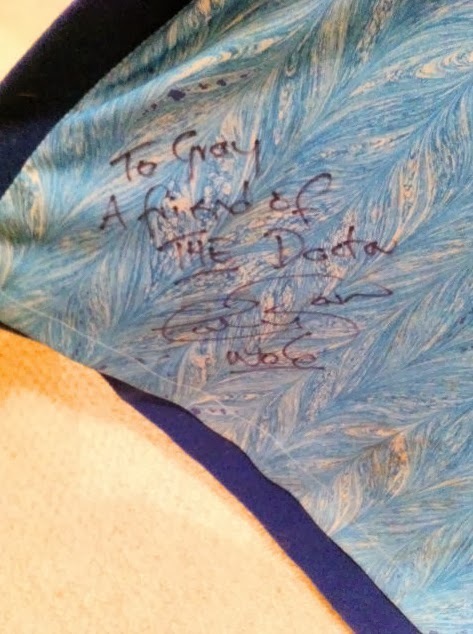 The item is signed by Colin Baker to the original owner on the inside lining: ''To Gray. A friend of THE Doctor. 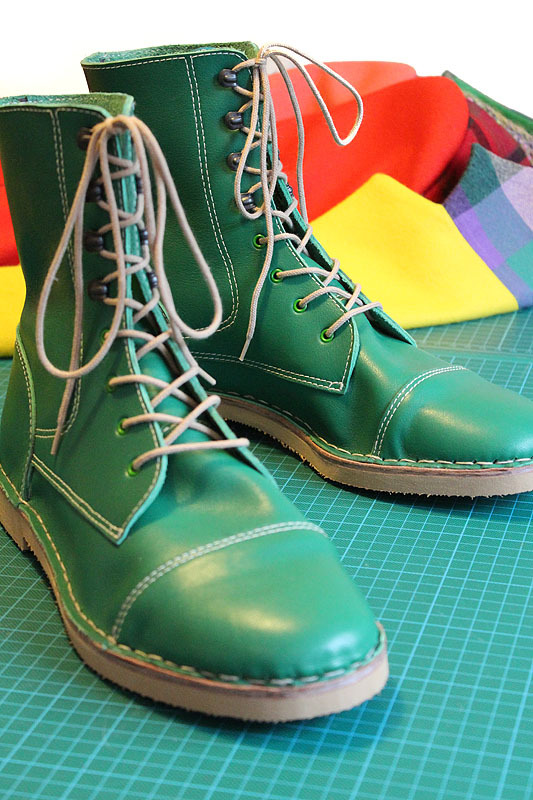 Colin Baker. No.6." Screen-used items from classic Doctor Who are highly sought after, and a piece of 'Doctor's costume' as iconic as this is extremely rare. 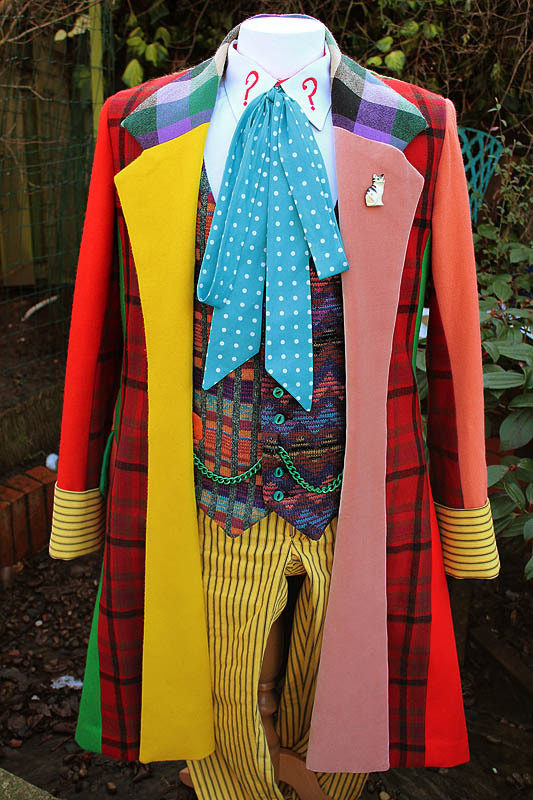 The item is remembered by fans as the one time the Sixth Doctor's garishly coloured outfit was concealed from view! I wish I was rich now. 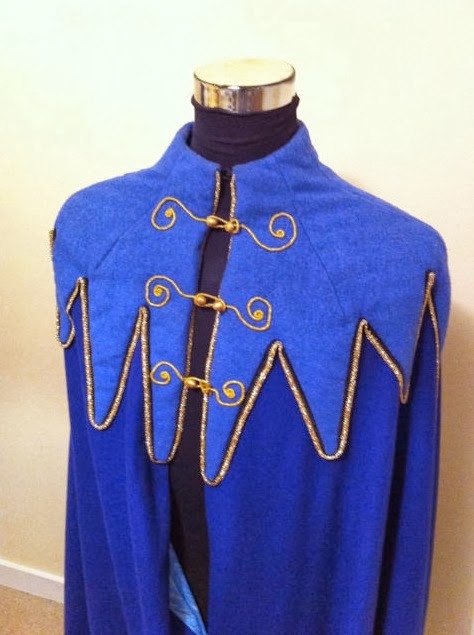 This cape clashed with absolute everything he was wearing but on itself it's lovely. It makes me think of jugglers and circus.